2 Bdrm Terraced Dwellhouse. Ground flr: V/bule. Hall. Cloakrm with wc. Lounge. Dining kitch. 1st flr: 2 Bdrms. 1 with ensuite. Bathrm (CT Band - E). Parking. 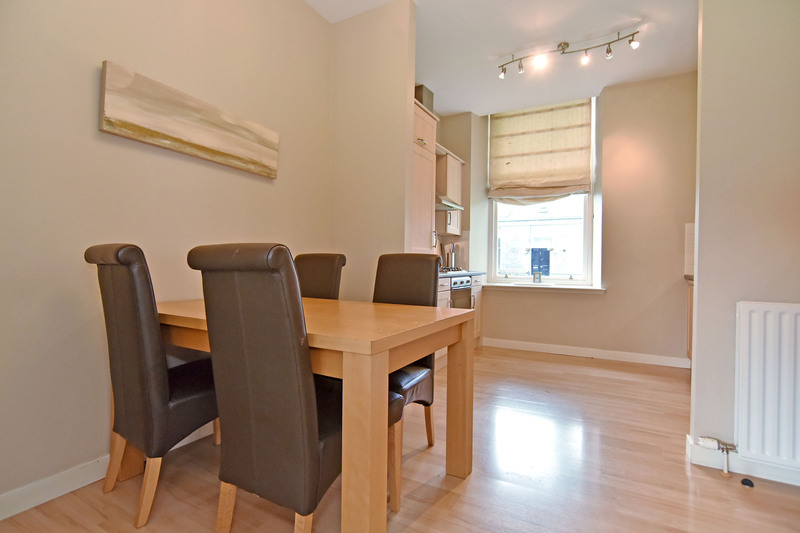 Price over £240,000 Entry by arr. Viewing contact solicitors. (EPC band - C). 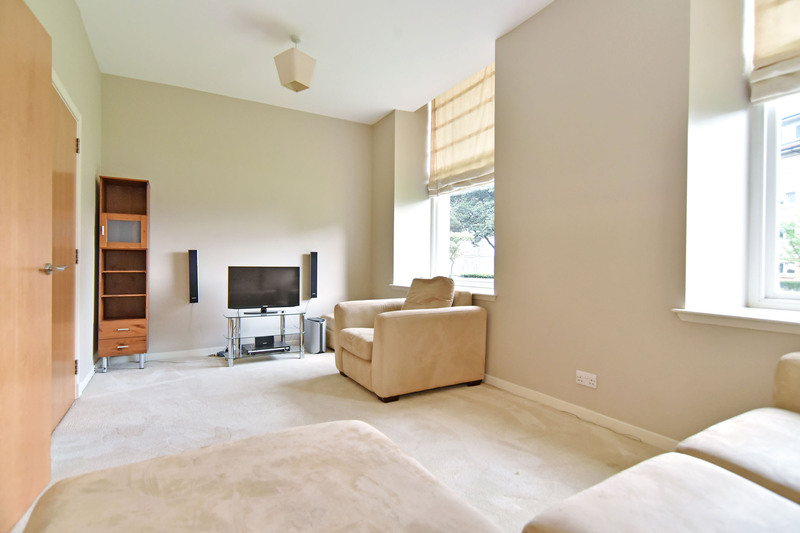 We are delighted to offer for sale this desirable, two bedroomed, mid-terraced dwellinghouse which forms part of a highly acclaimed development of individually styled homes located within the grounds of the former “City Hospital”. Boasting high ceilings and tall windows which provide a good flow of natural light, the fresh décor is displayed in neutral shades to suit all tastes, with co-ordinating carpets, laminate wood flooring and window blinds. 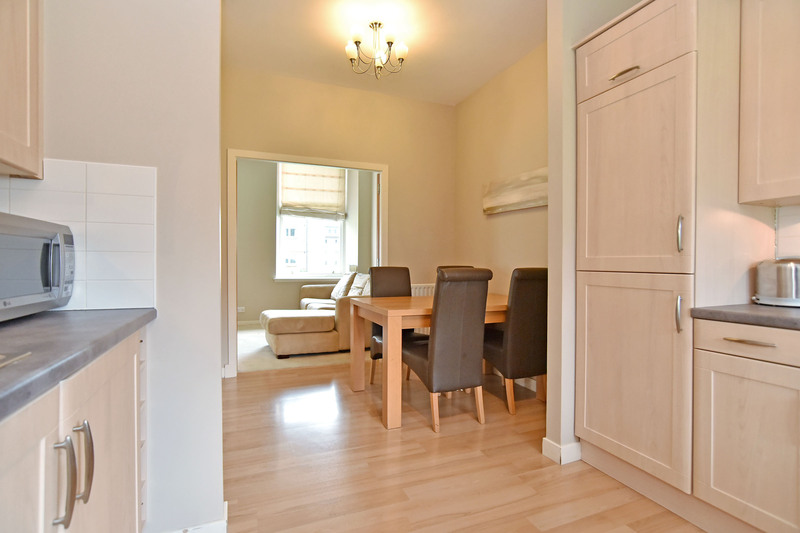 Enjoying the benefits of gas fired central heating, double glazed windows, a designated parking space and built-in wardrobe facilities, the home is accessed via double doors leading into the vestibule which has a large storage cupboard. 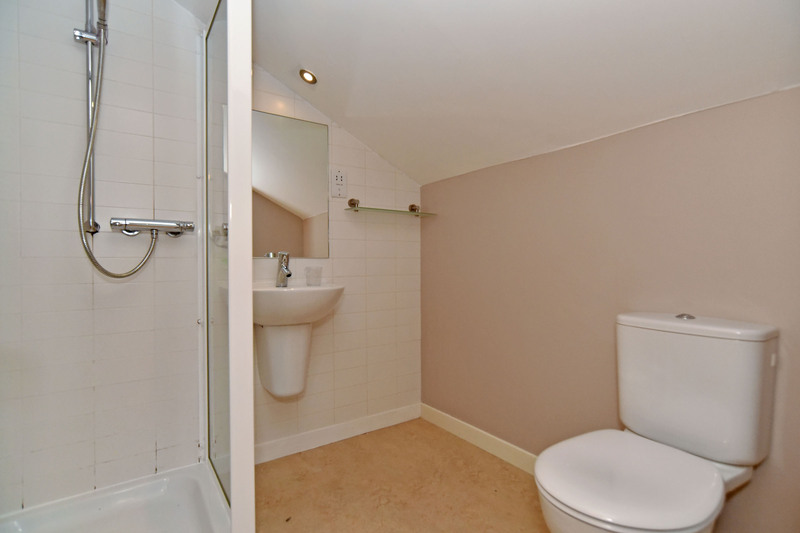 Located off the hall is a convenient cloakroom fitted with modern, white suite. The lounge is a bright, well proportioned room with tall, deep silled windows and double doors opening onto the open-plan kitchen/diner, where the kitchen is fitted with a comprehensive range of shaker style cabinets with co-ordinating work surfaces and integrated appliances. 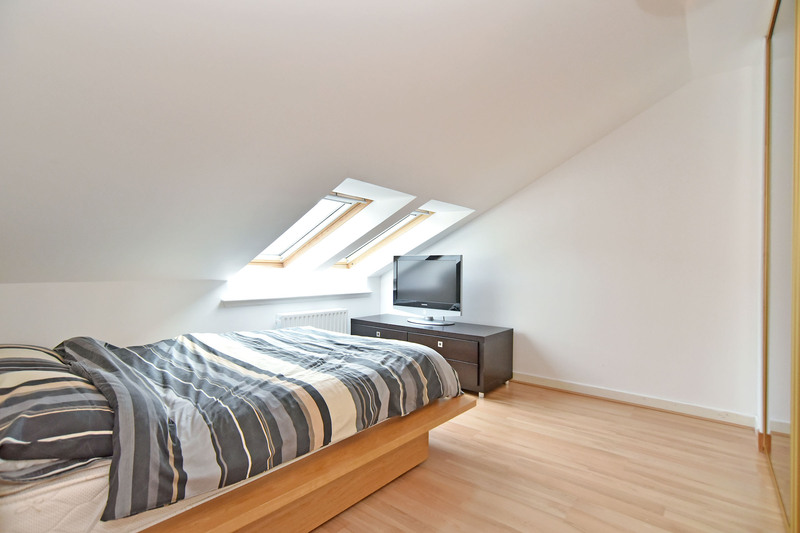 On the first floor is a good sized master bedroom benefiting from an en-suite shower room, a second double bedroom, and bathroom with stylish, white 3-piece suite. Included in the sale are all carpets, floor coverings, window blinds, and light fittings with all other items of furniture also available, if required. Outside, the communal garden grounds are maintained to a high standard a factoring agreement and interior viewing is recommended to fully appreciate this enviable property. 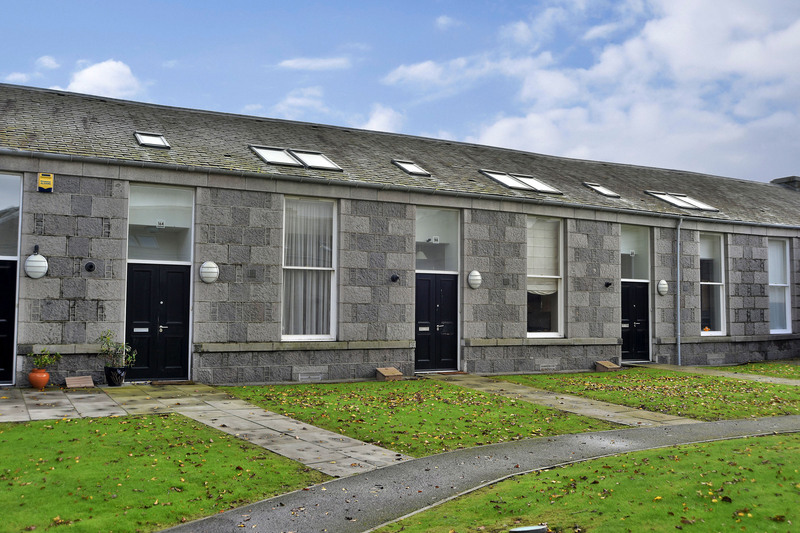 LOCALITY: The development is conveniently located, within easy reach of the City Centre, Aberdeen Beach, and Aberdeen University’s Kings College Campus. 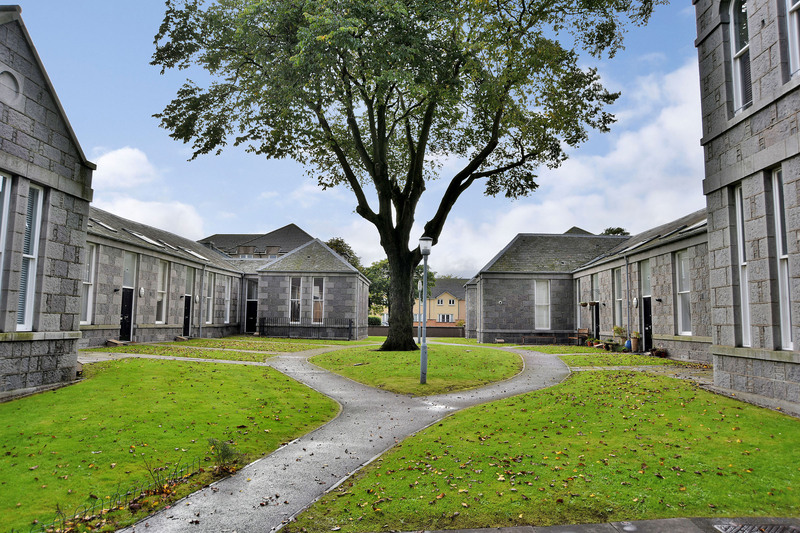 There is a wide range of amenities close by including a retail park with Asda superstore, Aberdeen Sports Village, leisure centre with swimming pool, ice skating rink, multi-plex cinema, and a good choice of reputable restaurants and cafes. ENTRANCE VESTIBULE: Bright entrance to the home accessed via double door with glazed fanlight. Shelved cupboard housing the central heating boiler, electricity meter/fusebox. Laminate wood flooring and matwell. HALL: Welcoming hall with beech veneer interior doors, and laminate wood flooring. Smoke detector. Built-in cupboard fitted with hanging rail and shelf. CLOAKROOM: Fitted with a white wc, wall mounted wash hand basin with chrome mixer tap and tiled splashback. Fitted wall mirror. Brushed chrome co-ordinating accessories. Vinyl floor covering. LOUNGE: 17’10” x 11’ approx Instantly appealing and generously proportioned lounge boasting a high ceiling and tall, deep silled windows which afford an open outlook and flood the room with natural light. Television aerial and telephone points. Two ceiling lights controlled by dimmer switch. Roman blinds fitted to the windows. Cream coloured carpet. Double doors to kitchen/diner. 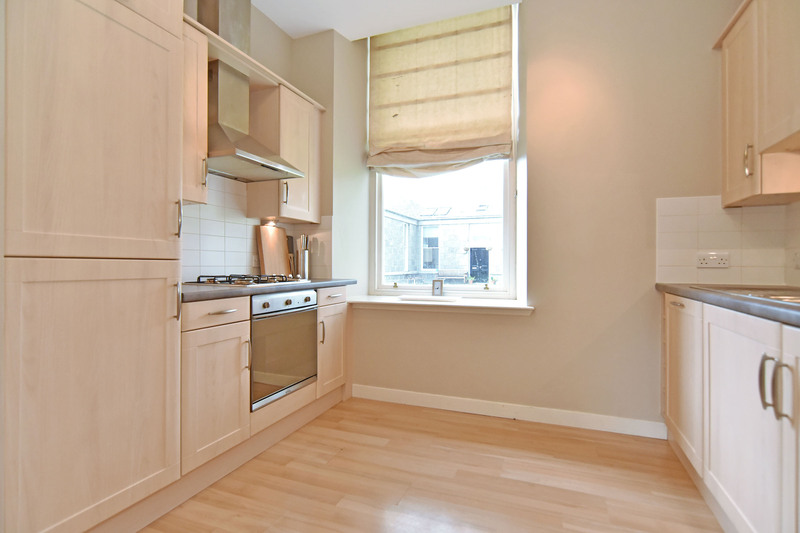 KITCHEN/DINER: 15’11” x 10’ (at widest points) Nicely appointed kitchen with pleasant outlook and fitted with a comprehensive range of shaker style cabinets incorporating built-in wine racks, complemented by contrasting grey work surfaces, and splashback tiles. Under-unit lighting. 1.5 stainless steel sink and drainer with mixer tap. Stainless steel gas hob with chimney style extractor canopy above, and electric oven/grill below. The quality “Smeg” integrated appliances include: fridge/freezer, dishwasher, and washing machine. Brushed chrome spotlight track and multi shade light fitting. Front facing window fitted with roman blinds. Laminate wood flooring. Ample space for table and chairs. FIRST FLOOR: A carpeted staircase with wooden handrails ascends from the hall to the first floor. Hatch to loft space. Smoke detector. 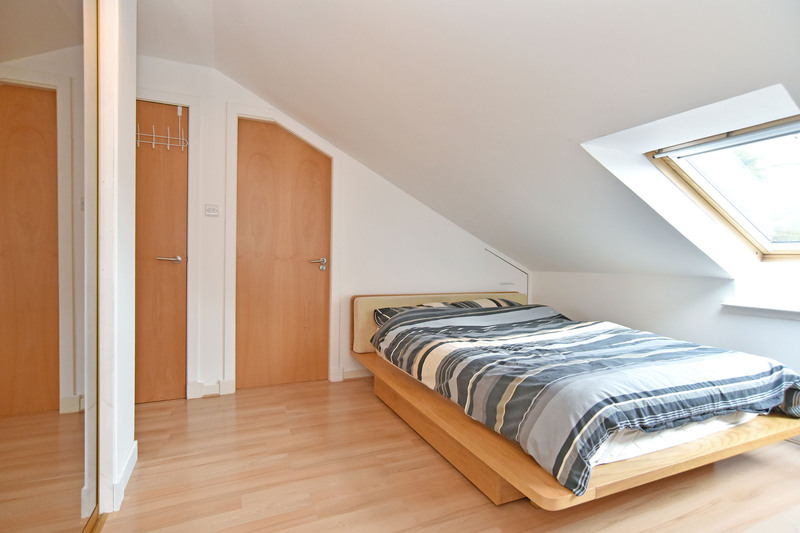 MASTER BEDROOM: 12’8” x 11’6” approx Enjoying generous proportions, this attractive double bedroom benefits from a built-in, mirror fronted wardrobe providing ample hanging and shelving facilities. Television aerial point. Access to eaves space. Two velux window with fitted blinds. Laminate wood flooring. EN-SUITE: Fitted with a white wc; wall mounted wash hand basin with chrome mixer tap and tiled splashback; and shower enclosure fitted with chrome mains powered shower and folding glass door. Wall mounted towel rail. Recessed downlighters. Vinyl flooring. 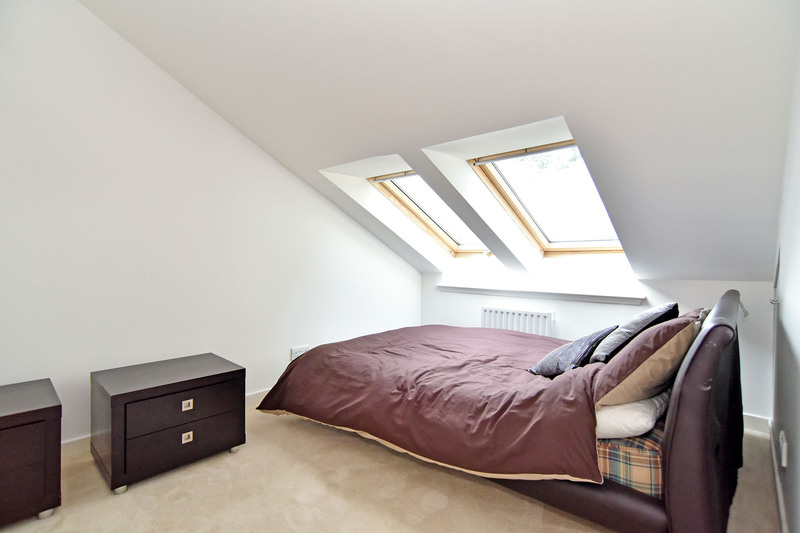 DOUBLE BEDROOM 2: 11’8” x 11’ approx Bright double bedroom with two velux windows. Access to eaves space. Fitted window blinds. 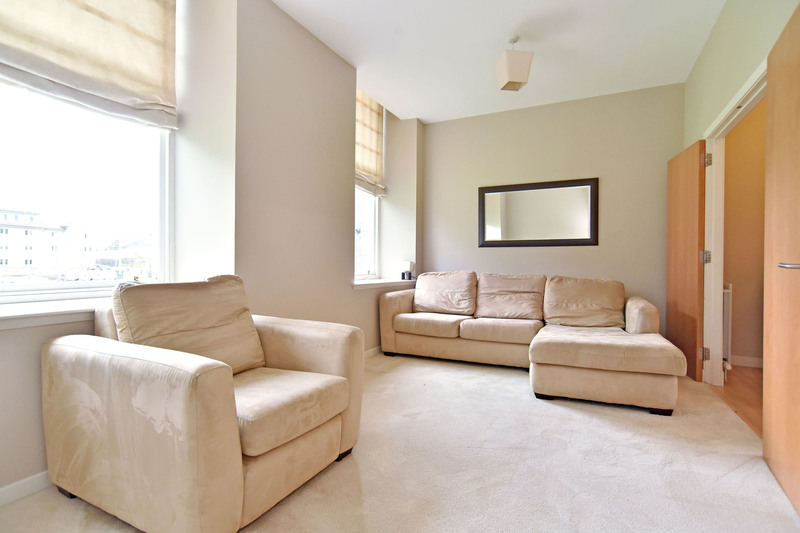 Cream coloured carpet. 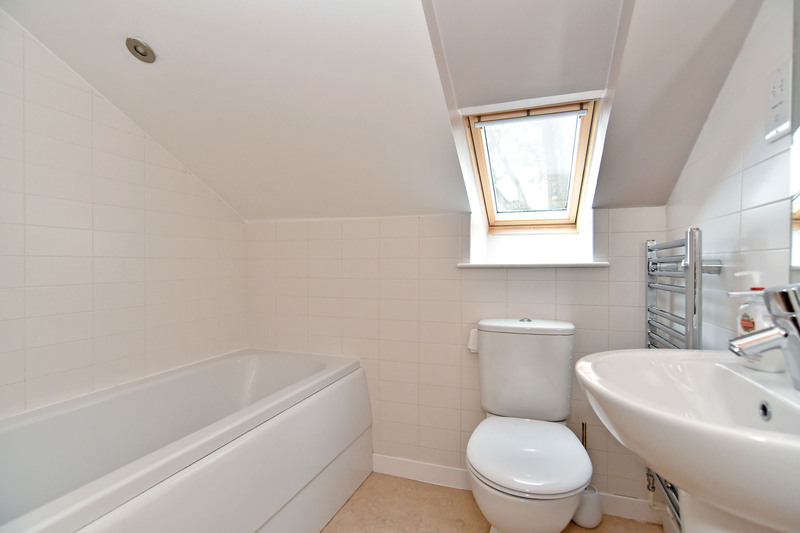 BATHROOM: Fitted with a white 3-piece suite, comprising: wc; wall mounted wash hand basin; and bath with mixer/shower tap. Ceramic wall tiling around the bath and to the splashback areas. Shaver point and fitted mirror above the wash hand basin. Recessed downlighters. Velux window with fitted blind. Vinyl floor covering. OUTSIDE: The communal landscaped garden grounds are well maintained by a factor, and there is a designated parking space, as well as ample visitors’ parking available. Secure bin/bike store. DIRECTIONS: From the east end of Union Street turn left into King Street. Turn right at the traffic lights into East North Street, then take the second exit off the roundabout onto Beach Boulevard. At the traffic lights turn left into Links Road, then second left into Urquhart Road where the development is located along on the left hand side of the road. Follow the one-way system to the left where number 166 is clearly identifiable.